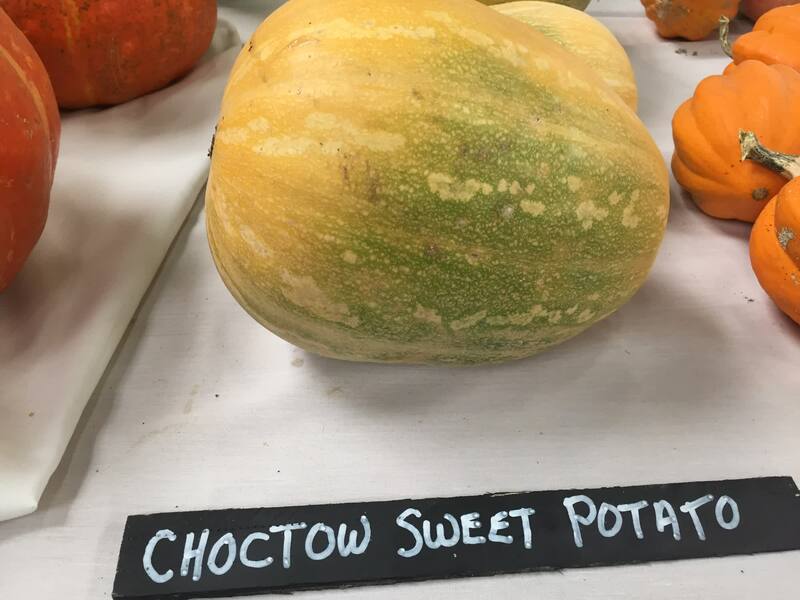 This rare heirloom is a rugged variety that is tolerant of hot, dry weather, rendering it especially well-suited to the South. 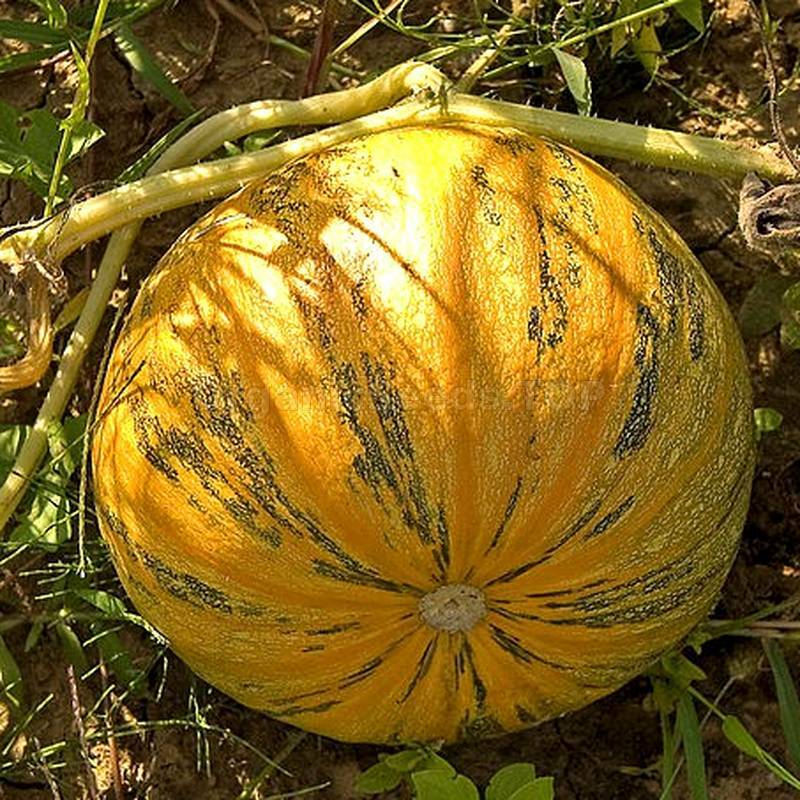 The vines are vigorous, with large, dark, metallic green-striped leaves, and it produces an abundance of medium-large, round-to-bell-shaped, tan-skinned fruit and moist orange flesh that resembles that of the sweet potato, hence the name. 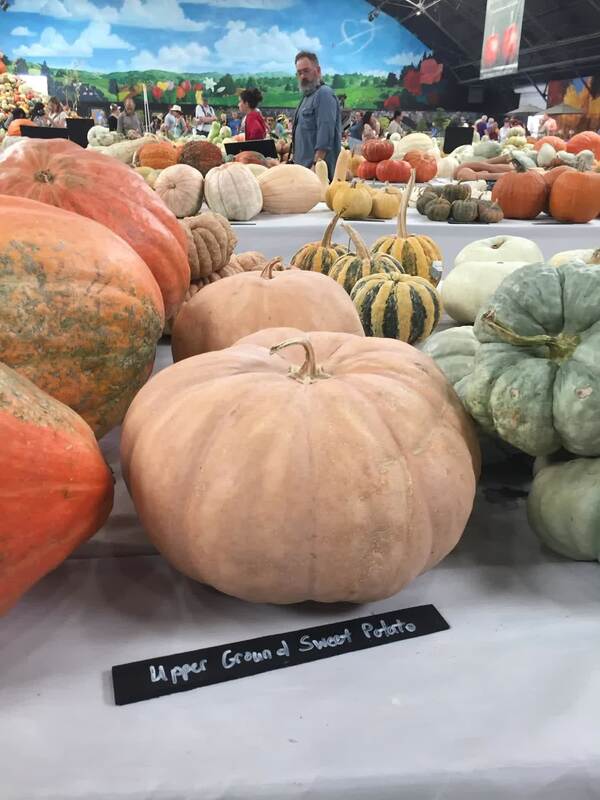 The Upper Ground Sweet Potato Winter Squash can weigh up to 20 pounds when ripe. Drought Tolerant. 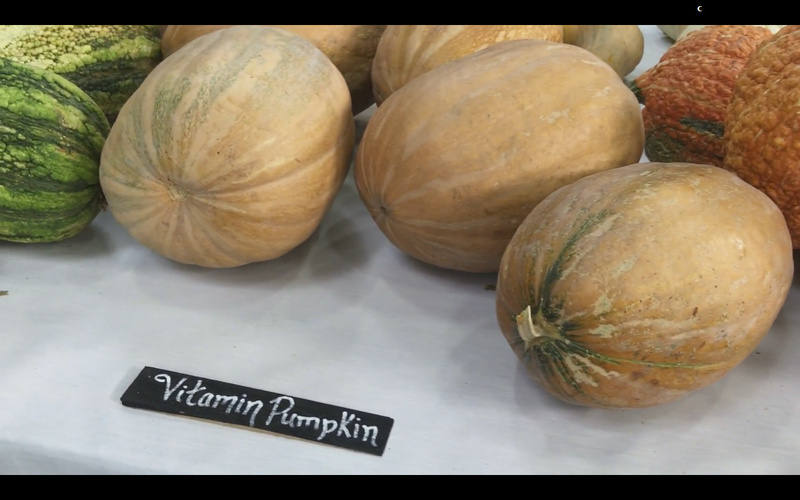 An Appalachian heirloom variety from Kentucky. It was grown by Thomas Jefferson at Monticello, Virginia. Grown successfully throughout the USA, and in Toronto, Ontario, Canada. These caught attention in Twin Oaks� 2013 observation trials because of their ability to resist Downy Mildew. 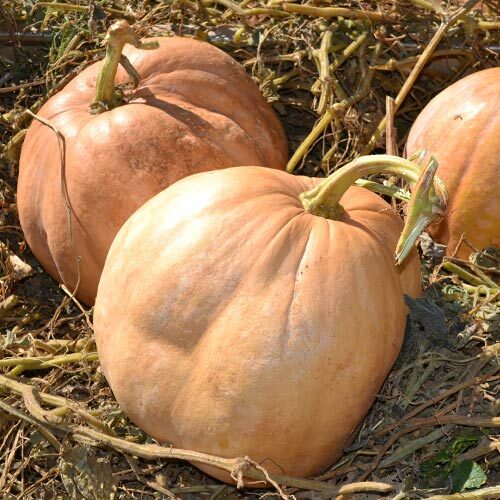 10-20 pound oblong fruits are sweet and bright orange on the inside (tan outside), but have low dry matter content. They are good as summer squash when picked at about 6-8 inches long. 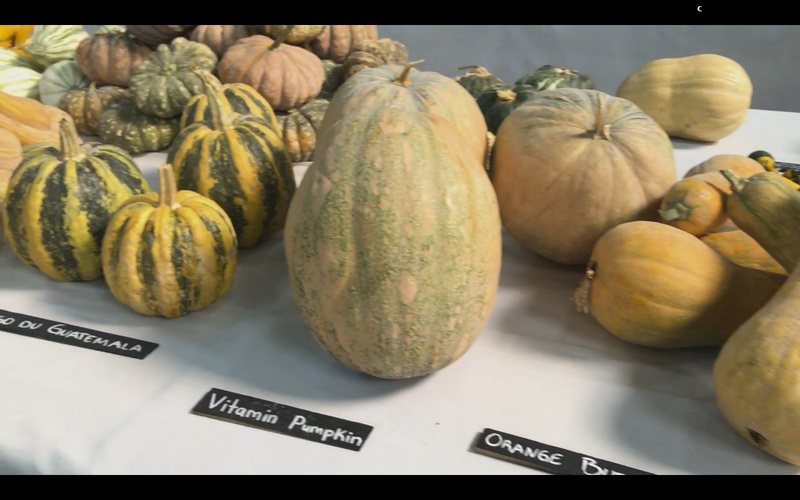 Note that moschata squashes don�t get vine borers. 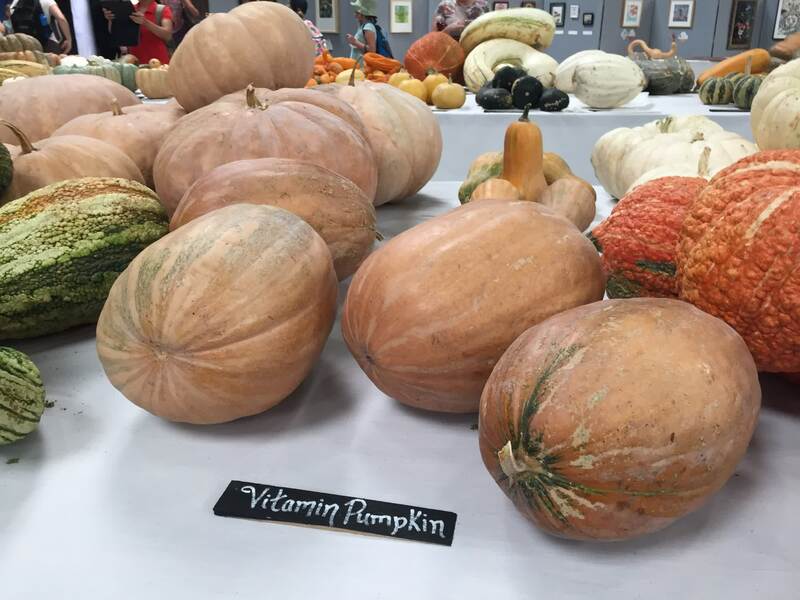 A family heirloom from Randy Baker in Mississippi, whose family has grown it for a long time. I got seeds from Charlotte Hagood of Sand Mountain Seed Bank. 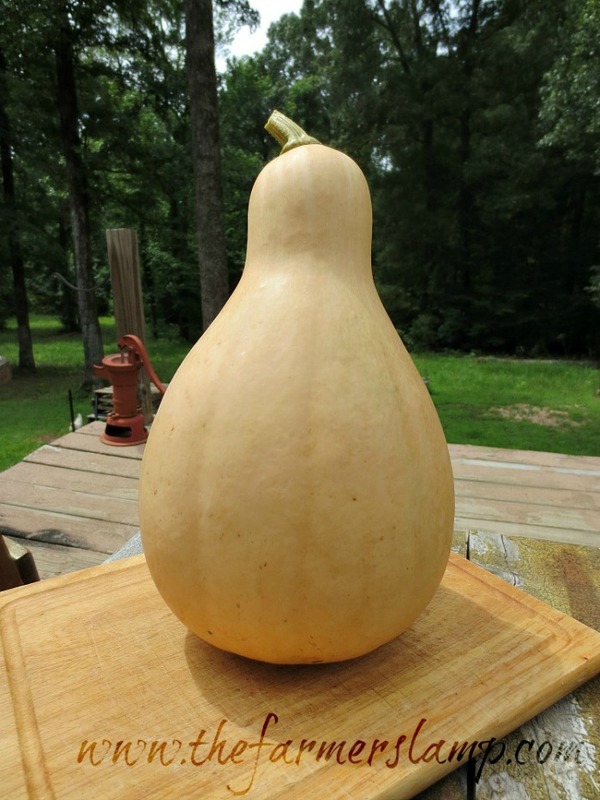 115 days (75 days for summer squash). 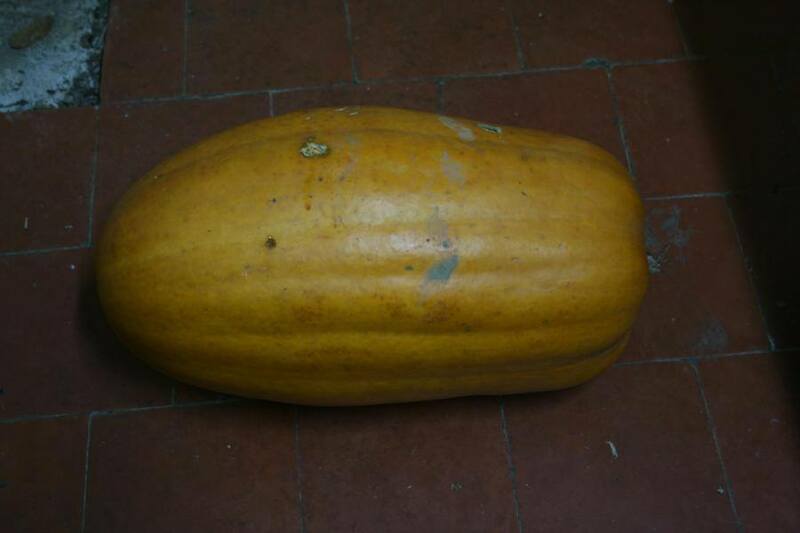 Pumpkin that forms large oval fruits, which can weigh from 6 to 15 kg. Epidermis ocher colored, orange pulp, with typical flavor of the C. moschata. Introduced commercially in 1988. 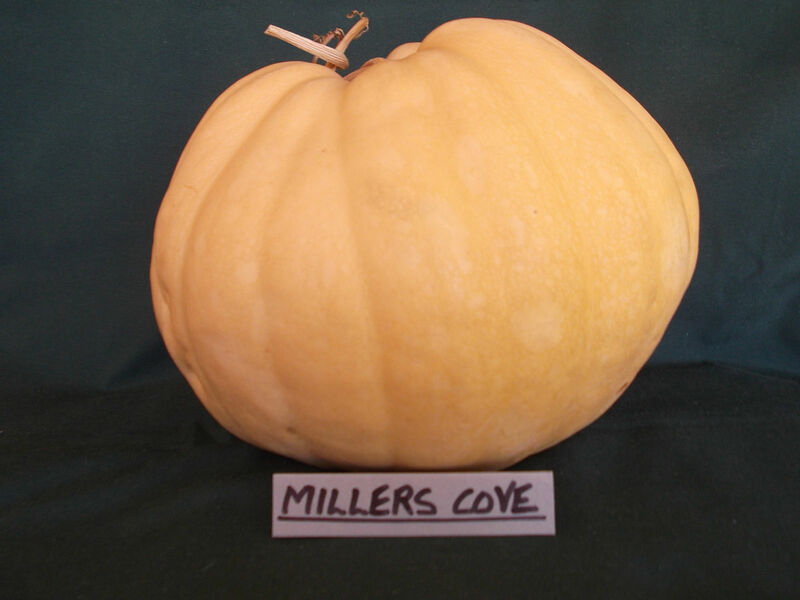 Miller's Cove is an heirloom pumpkin variety from Tennessee U.S.A. 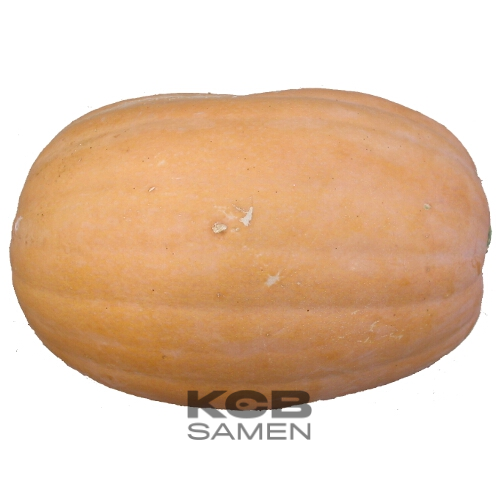 It is a medium to large variety with fruit ranging from 4kg to 12 kg. 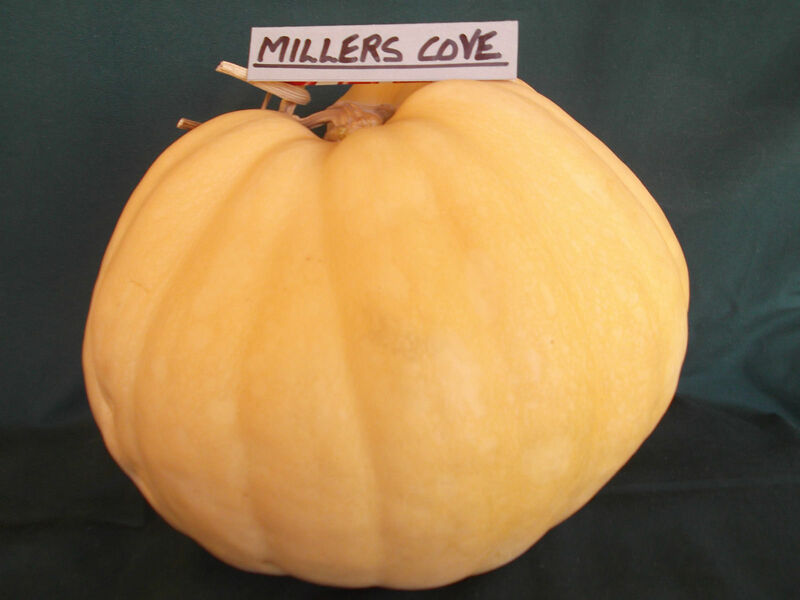 The fruit is round and slightly flattened with many ribs and smooth yellow-tan rind. The vines are quite substantial and will produce fruit in around 105 days. 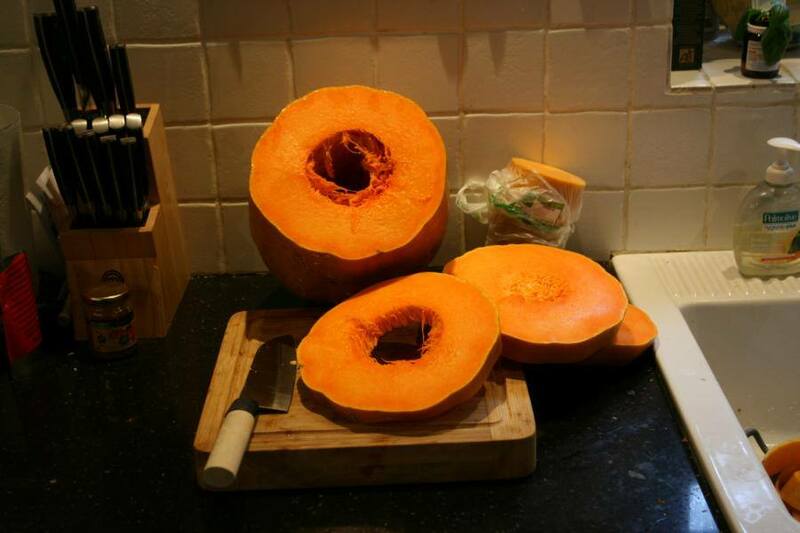 Inside, the thick orange flesh is firm, moist, sweet and very tasty. It contains very few seeds for it's size.